I'm back from a short but sweet vacation and settling back into my routine. Today I have a beautiful dark polish for fall to show you. 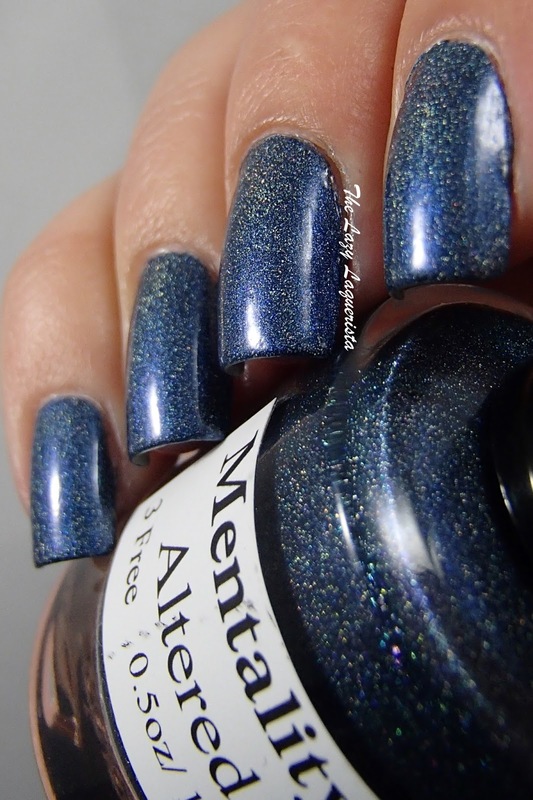 Mentality Altered is a navy blue scatter holo with a subtle blue flash. This formula was fantastic. It was almost a one coater. If you were were vigilant about sheer spots you could definitely do it in one. I did two coats just to be safe. The polish dries to a waxy matte finish so if you like shine, you'll need to add a glossy top coat. Photos show two coats of Altered with one coat of CND Super Shiney top coat in daylight spectrum lighting. Is Altered one of Mentality's Dark Variant holos? I love those polishes, they are delicious. 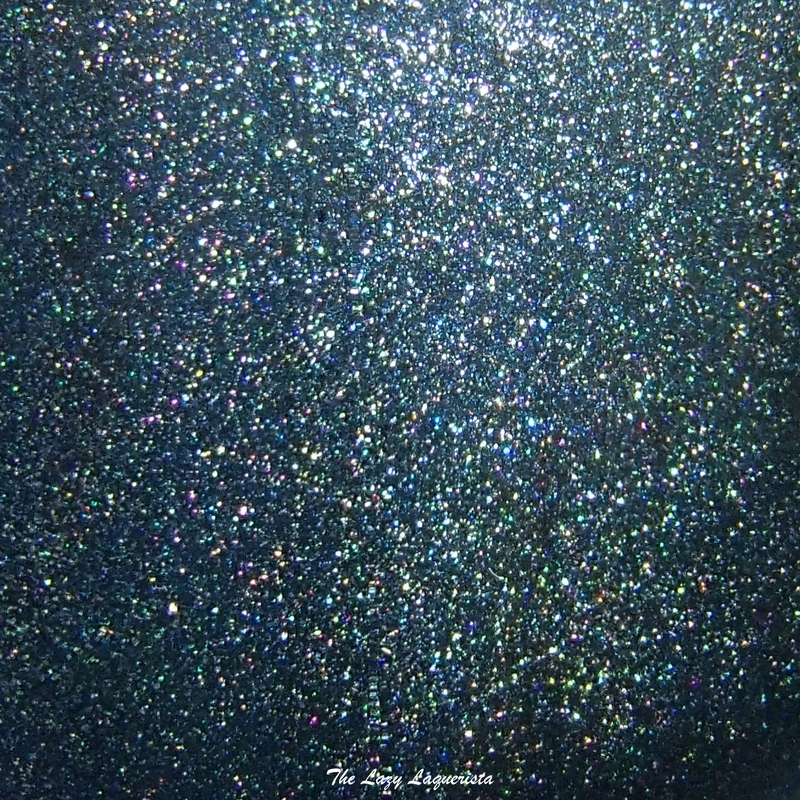 Great swatches and photos, Altered is beautiful! It is part of their Dark Variant Holo collection.